Welcome back to school! 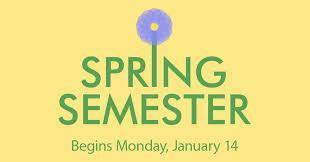 School starts back again on Monday, January 14th at 9:00am. Students schedules do not change from Fall semester, unless previously arranged and approved by Mrs. Ortiz.